For more than 50 years, Jim Barry Wines has consistently produced wines of international acclaim. 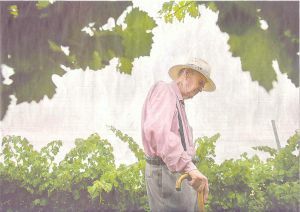 The late Jim Barry was a pioneer of Australian table wine, graduating with the 17th diploma in winemaking in Australia. He went on to become the first qualified winemaker to work in the Clare Valley of South Australia and with his wife, Nancy, built a successful wine business which has produced trophy-winning wines since its establishment in 1959. Today, the custodian of Jim Barry Wines is their second son Peter, who joined the family winery in 1977, also graduating as a winemaker. Peters eldest son Tom completed his Oenology degree in 2009 from the same university, making Jim Barry Wines the first family owned winery in Australia to have three generations of graduates from this course. (James Halliday)Jim Barry Wines has an innovative approach to viticulture and a strong commitment to technological excellence in winemaking. This philosophy is fundamental to the company's ability to consistently produce wines of the highest quality which have won international recognition.